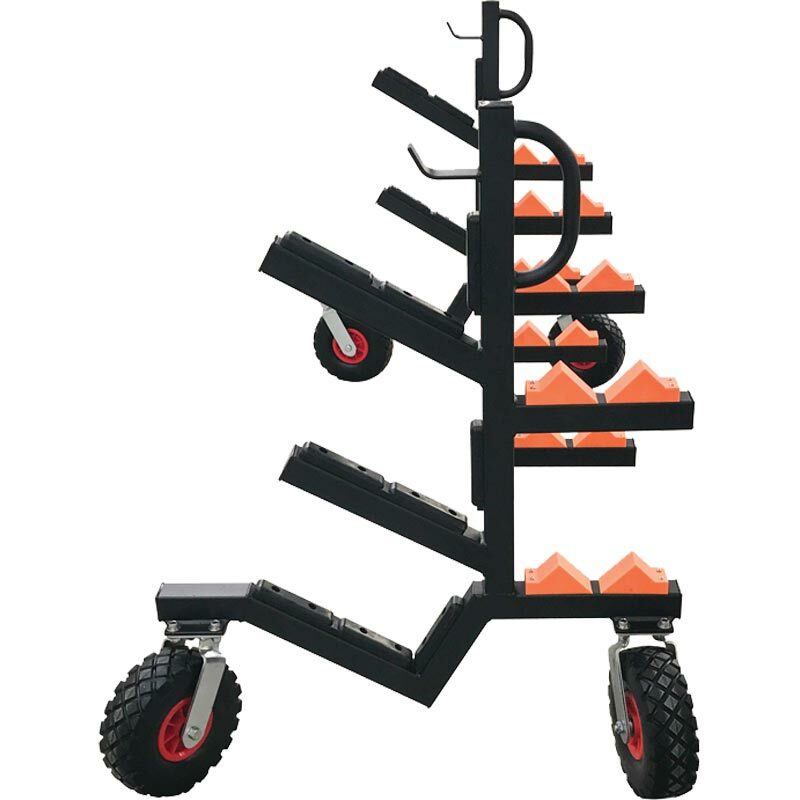 The Harrod Sport ® Rugby Post Storage Trolley is ideal for clubs and schools who need to store and move their rugby posts. Suitable for 1 Millenium Post per trolley or a complete set (pair) of aluminium posts. Steel frame manufactured from 50mm box section. Orange chocks for secure storage of hinges. Post arms with black rubber buffer to protect paintwork. Sold as a pair, with each trolley storing one Millennium Rugby Post. Complete with 4 x 260mm cellular wheels for superior manoeuvrability. Can also be used with aluminium rugby where a complete set of posts can be stored on a single trolley. Dimensions: 2.13 x 1.17 x 0.89m (assembled).